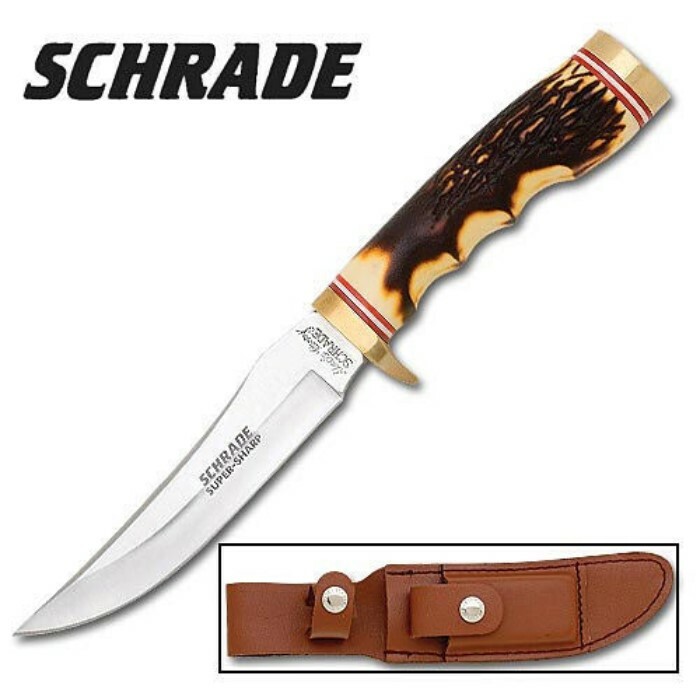 Schrade Golden Spike Knife | BUDK.com - Knives & Swords At The Lowest Prices! Definitely a serious and practical outdoor knife with a comfortable and positive grip, this Schrade Golden Spike will soon be a favorite piece in your collection. I own one of these and it is a beautiful, well-made knife. Great traditional shape and looks. Feels nice in the hand. Many years ago, I bought this exact same knife at a garage sale, but down by the hilt it says CRAFTSMAN instead of SCHRADE... I wonder - - did Sears, at one time, sell this knife under a license from Schrade? I've had this same knife for over 30 years now. Its been to h**l and back and still going strong. Still sharpens very well. A great fixed blade knife for the price.